VinaData is currently the leading cloud computing service providing company in Vietnam, supporting our ecosystem of more than 120 million customers, across 232 countries and territories. The digital transformation and moving activities of enterprises/organizations to cloud requires a strong and experienced partner to propose reasonable solution for technology, budget and modern trend. How to choose the partner? The partner should have a long and strong experience in practical operation of respective services and products. It is easy to notice that the most international well-known cloud services providers are often corporations who self-develop and self-provide. Growing up from a small sized group of customers to millions, ten millions or hundred millions of customers, they understand clearly the challenges when providing cloud services to the commercial market. They can perfectly meet the specific requirements from each organization and enterprise, such as Amazon, Microsoft, Tencent… VinaData is one of a kind. The customers who are active and using our services has exceed 120 million. This proves the ability to provide the outstanding infrastructure service providing ability of VinaData. It is also a concrete proof for our experience, stability and cloud service quality. Among the cloud service providing system, we can find IaaS – PaaS – SaaS. Normally, the cloud service providers can only provide a part of this system. However, VinaData is the sole provider of the complete system including IaaS, PaaS and SaaS. The cloud computing of VinaData owns all the tools required for modernizing technology infrastructure and also enterprise business model. This achievement comes from the strong expert team of VinaData, who develop the cloud computing themselves. Customers can use all of our services and cloud products to build their data-oriented culture. We corporate to bring the best experience to our customers. One of the biggest concerns of organizations and enterprises when moving to cloud is support service. When they are in need of incident consulting and solving, the support service are often delayed and only provided via email or phone calls by off-site experts. Thanks to our own technology, self-developing our infrastructure, platform, applications and experts, VinaData’s customers will always receive full-time support and consultation directly from our experts while using our services. Another common issue that can easily be seen is the providers, who do not own the technologies, often depend on third-party technology partners. If a partner’s service is interrupted, the cloud service provider will be interrupted, which will effect the customers. 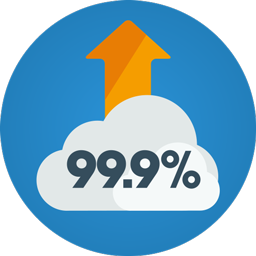 With VinaData, the SLA rate is always at 99.9%, because VinaData builds and develops the cloud technology on our own, using our 14 years of experience. No matter what type of enterprise you are, whether you are in need of building, establishing, programing or storing, VinaData can protect you. Customers can trust our multi-layer security system infrastructure which has been granted international certificates, our experts on online security, and our pledge to transparency. 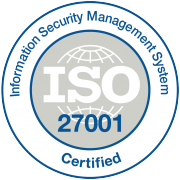 “We believe that the system safety is the most important requirement for an enterprise’s development. The solutions of VinaData are all developed based on such requirement”. Deputy director of VNG’s Cloud Services. Server, software, applications and other private networks are designed and operated by our experts. VinaData will be responsible for digitalized customers’ data for enterprises and organizations. Received the most prestigious international security certificates in safe cloud platform. The skillful engineer team of VinaData pledge to accompany enterprises in their journey of cloud transformation. VinaData will consult, support and corporate with chosen partners to build solutions for enterprises. Easily expand and narrow infrastructure. Mixed cloud. Multicloud. Equipment system at enterprises only. Whichever model of your enterprise, VinaData can support to help your business grow. VinaData will support enterprises exploit data effectively. We will process all the “unsolvable” challenges so that customers’ data can be accessed safely and effectively. Programming on a platform which is well managed will help programmers focus on building applications. You can develop applications from initial samples to global utilization without concerns of capacity, workability or practicality of the system. Try the differences with the ultimate cloud services of VinaData.